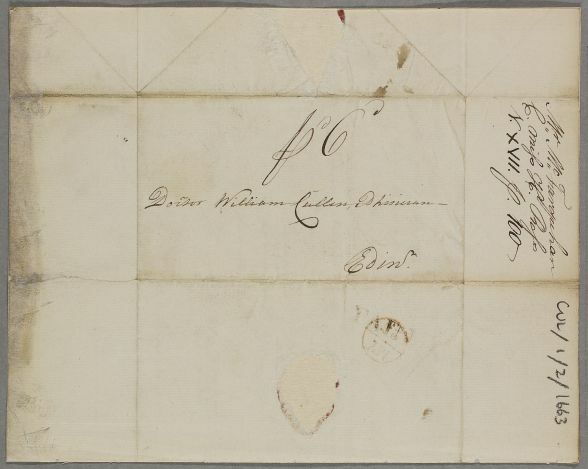 Letter from John McFarquhar, concerning the case of Henrieta Ross. He thanks Cullen and Mr Wood for their advice, reports on the trial of their recommendations for Miss Ross's treatment, and mentions that he is also writing on behalf of Mr Wishart. McFarquhar uses an interesting written swirl denoting forceps after his signature. 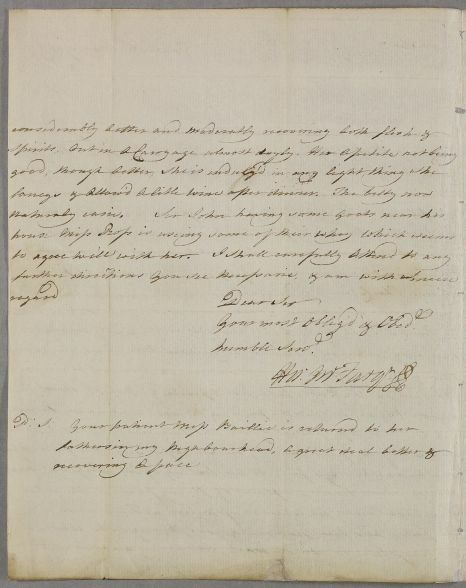 Summary Letter from John McFarquhar, concerning the case of Henrieta Ross. 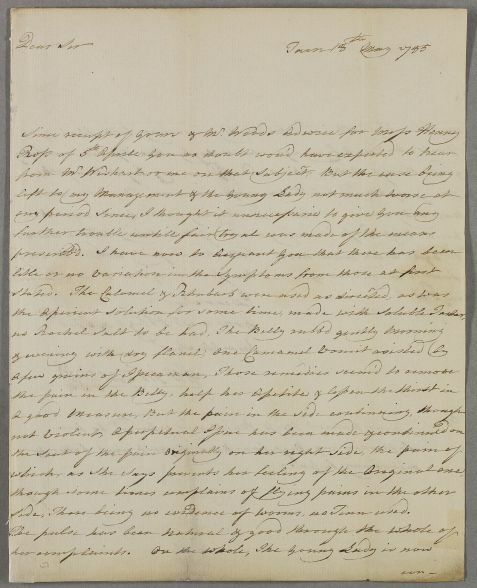 He thanks Cullen and Mr Wood for their advice, reports on the trial of their recommendations for Miss Ross's treatment, and mentions that he is also writing on behalf of Mr Wishart. McFarquhar uses an interesting written swirl denoting forceps after his signature. Case of Miss Henrietta Ross, aged thirteen, who 'became indolent and discovered an inclination to ly upon her Bed and afterwards began to complain of pain in the right side a little below the Breast' (includes some poor copies). Case of Miss Mary Baillie at Dunrobin Castle, aged thirteen, who becomes very unwell after passing some worms. Cullen subsequently declares her case 'hysteric'. Side, There being no evidence of worms, as Tinn used. Your most Oblig'd & Obedt.